New Delhi, Jan 26 (IANS) Describing his countrys deep association with India, South African President Cyril Ramaphosa on Friday said that the two countries were divided by an ocean but were bound by history and culture, as he emphasised on strengthening trade and bilateral relations. 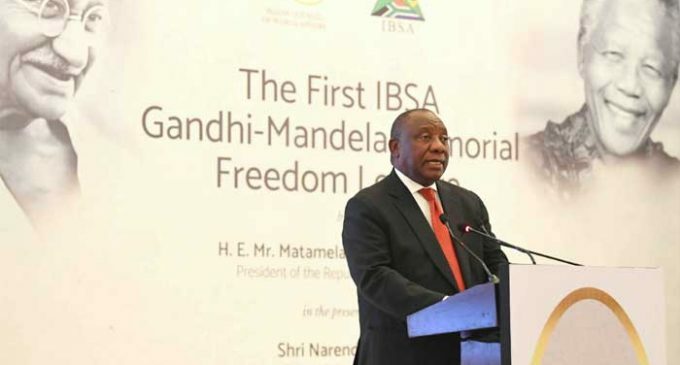 “South Africa and India are two sister countries that are separated by an ocean by bound together by history, by the collective energies of our people and deep respect we hold for each other,” Ramaphosa said while delivering the first Gandhi-Mandela Memorial lecture here. He said that that the legacies of Mahatma Gandhi and Nelson Mandela have never been more important than they are today. “We need to focus on growing our trade, increasing investment in each others’ countries. In our meeting this morning (with Prime Minister Narendra Modi), we committed ourselves to increasing cooperation between our two countries at all levels. We can be proud of the road our two countries have traversed,” he added. He said that India and South Africa shared a commitment to freedom and democracy, to non-racilaism and tolerance to social equity and eradication of poverty. “Let us strengthen the bond that exists between our country and our people. We have great foundation, towering pillars that can continue to support our resolve to achieve our ideals,” he said. He said that as his country takes up its non-permanent seat in UN Security Council, it was acutely aware of responsibility it has been entrusted with. “We are determined to ensure that Africa is not relegated to the periphery of world affairs. We want Africa to take its place. This century is Africa’s century,” Ramaphosa said. “We will do so with full respect, cooperation as well as collaboration with other countries around the world. 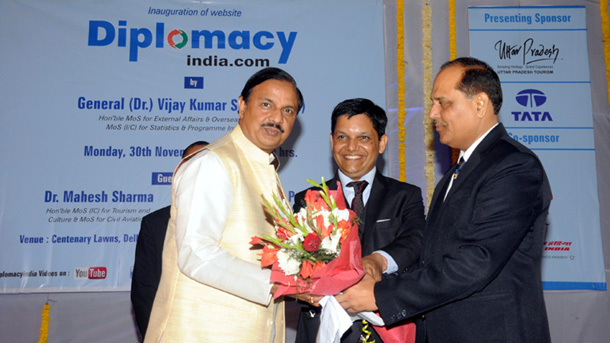 And India is one of those that we count among the first that we seek cooperation and collaboration with,” he said. He said that the two countries were sharing several forums such as BRICS, IPSA, Indian Ocean RIM Association, G-20, G-77-plus-China and NAM, and it would facilitate their working together “in pursuit of a world that is free of poverty”.